For a first crack at the restaurant business, husband and wife Nikon and Kaitrin Souphan have done okay. 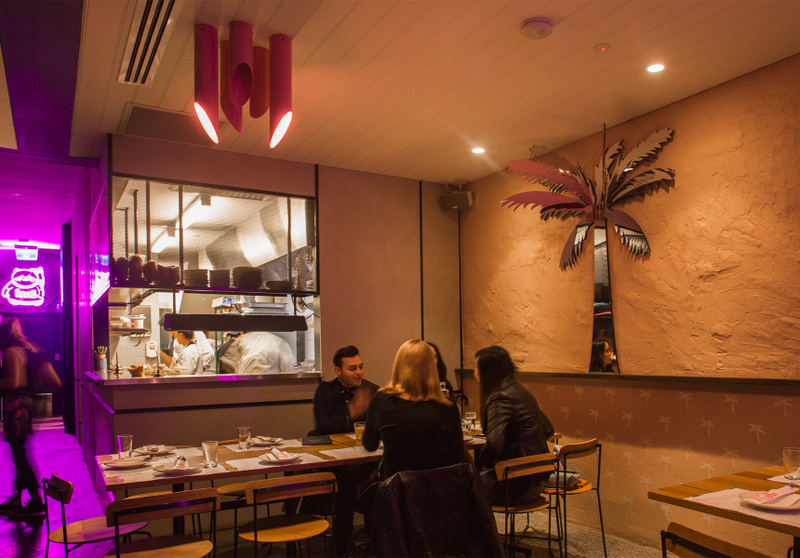 Nik grew up in the heritage-listed building Rock Sugar now occupies. He wanted to bring a younger, more fun experience to Hawksburn Village – something he struggled to find growing up there in the ’80s. So in 2016, some 30 years later, he moved upstairs and turned his old bedroom into the main dining area of a Thai restaurant. The “Thai with a twist” menu was originally designed by Kam McManamey (BangPop, Botherambo) and is now run by Nik’s cousin. Small, medium and large share plates are on offer, with a focus on Thai flavours that bend the classics. 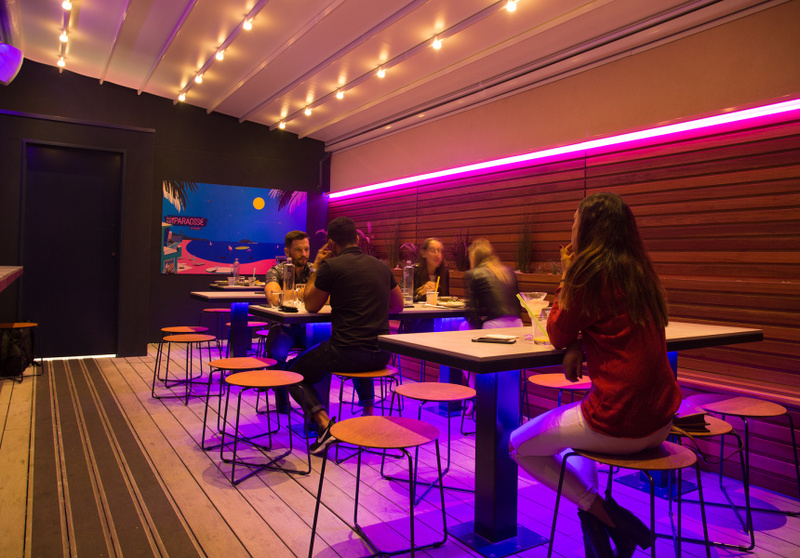 The fitout of the once-modest residential space was given new life by interior designer Samantha Eades (Chin Chin, Mr Miyagi) and seats 80. While you’re perched under the pink neon lights listening to noughties R’n’B, try a fairy floss Martini – one of 11 “rocktails” on offer. 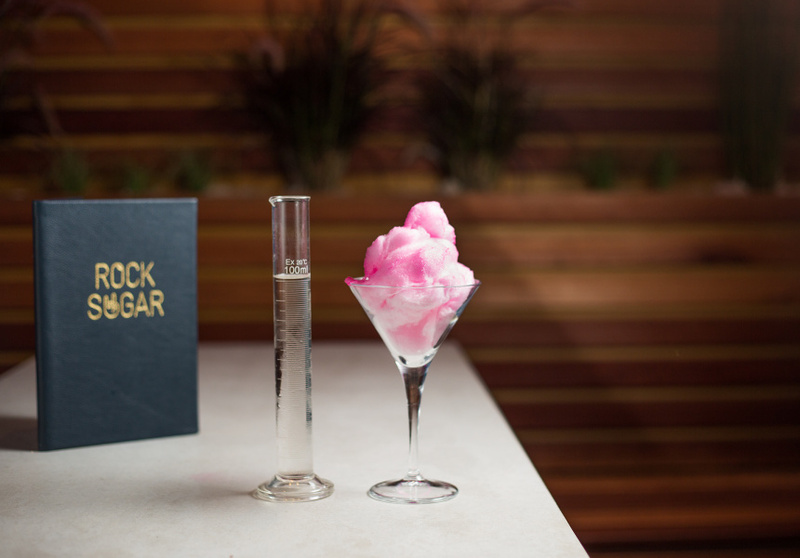 Though this is the only one served in two parts: fairy floss and beaker. Pour your Martini mix over the fairy floss and watch it dissolve in front of your eyes, for an Instagram story that’s sure to catch some attention.